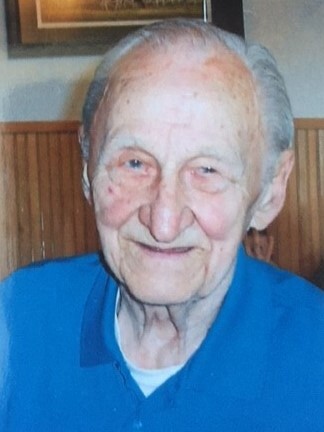 Obituary for Edward V. Boncek | Kostanski Funeral Home, Inc.
Edward V. Boncek ("Uncle Eddie") was born July 19, 1924 in Greenfield MA- Died- March 31, 2019 in Charleston, VT. Son of John Boncek and Bolestava Murzn Boncek (Poland immigrants) settling in Greenfield. Edward's early years growing up were spent in Greenfield, MA, Meriden and New Haven, CT. Ed's remaining years were spent at his beloved "camp" in Charleston, VT.
Ed is survived by his brother, Randy Boncek and wife Lee from East Haven, CT, nephews, Ralph L Roberts III, PhD, and wife Debra of Cincinnati, OH, Randy Boncek of Branford, CT his nieces, Patricia McDonough and her husband Michael of Wakefield, MA; Margaret Roy and her husband Rene of Ashburham, MA, Pamela Boncek Martorelli of East Haven, CT, Andrea Boncek of Branford, CT. and Cheryl Boncek Reilly and her husband Matthew of Shelton, CT. Edward is also survived by four great nephews, five great nieces and Eight great, great nieces and nephews (and a few great, great, great nieces and nephews). Richard Boncek of Killingworth, CT and Steven Boncek of Bridgeport CT.
Staff Sgt. Edward V. Boncek truly was a war hero and part of the "America's Greatest Generation". He volunteered to defend our country in WWII, awarded the Bronze Star Medal (three times) and many other awards for heroic achievement in combat while fighting in Italy. Ed and his platoon were assigned the mission of destroying an enemy force occupying a castle which was the last hostile strong point before the approach to Rome. Ignoring hazards, Pfc. Boncek and his comrades charged, and the enemy surrendered. The action resulted in the capture of 27 prisoners. After leaving the Army as a Master Sargent he signed up again for the Korean Conflict and was Honorably Discharged in 1953. Uncle Eddie was also a true outdoorsman, hunter, fisherman, and yes, gold prospector for many years in the North East Kingdom in VT. His greatest joy were his very dear friends in Newport and Charleston and his family. But most of all his animal friends will be missing his daily feedings outside his kitchen door. God Bless you Uncle Eddie, you will be truly missed. A Liturgy of Christian Burial will be held Wednesday (4-10-19) at 11 AM at Our Lady of Peace Church 90 Seventh St. Turners Falls. Burial will follow at Mater Dolorosa Cemetery in Greenfield. A calling hour will be from 9:30 AM to 10:30 AM at Kostanski Funeral Home 220 Federal St. Greenfield, MA.